Downtown Daiquiri. | Photo courtesy of Kindred. 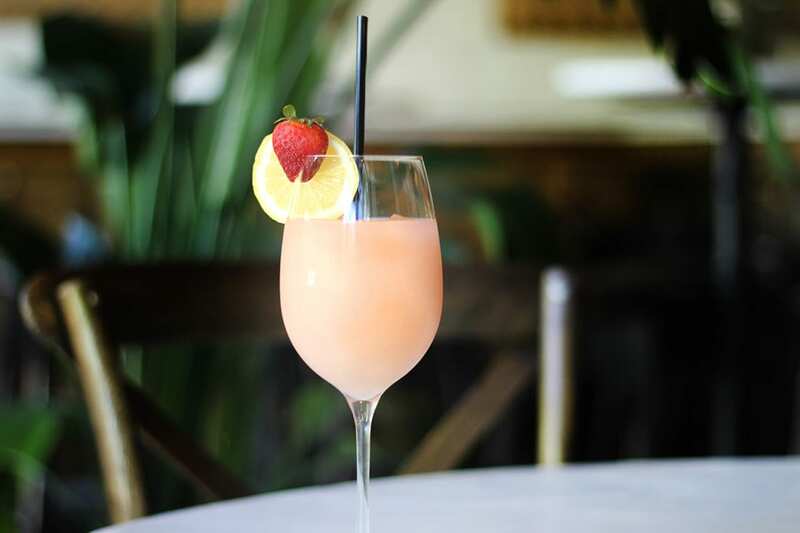 With strawberry and coconut water, the Coconut Frosé from Baci e Vendetta is downright heavenly. | Photo by Hannah Schneider. Gin brightens up coconut water in the Lime in the Coconut cocktail from Hot Joy in San Antonio. | Photo by Sophie Covo. 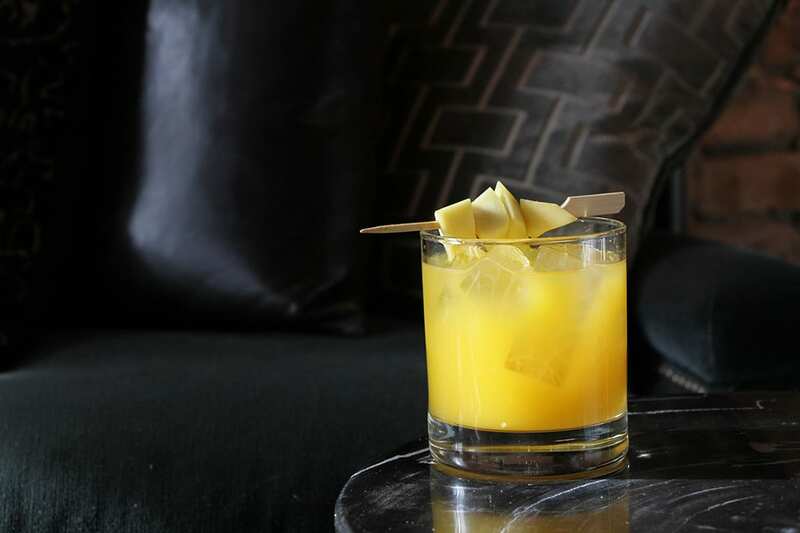 Mango and coconut water collide in the Pisco Punch revamp from Presidio in Chicago. | Photo by Emma Janzen. Coconut water ice dissolves into a combination of cachaca, lime and coconut liqueur in the Coconut Caipirinha on the menu at JIMMY at the James in Soho. | Photo by @FOHNYC. When it comes to coconuts in cocktails, many recipes call for coconut cream, the thick, decadent cream made by simmering coconut in water or milk. It’s a staple in classic tiki recipes like the Piña Colada and Painkiller, but recently barkeeps are turning to another byproduct of the coconut: coconut water. Coconut water is the clear liquid found inside the coconut shell—it’s slightly nutty and extremely hydrating. Blake Pope at Kindred in North Carolina also likes the smooth texture it lends to cocktails. In his Downtown Daiquiri recipe, coconut water meets its most natural flavor match in rum, lime and pineapple. It’s a modern take on the classic daiquiri, and the first time Pope has played with coconut water as a primary ingredient. 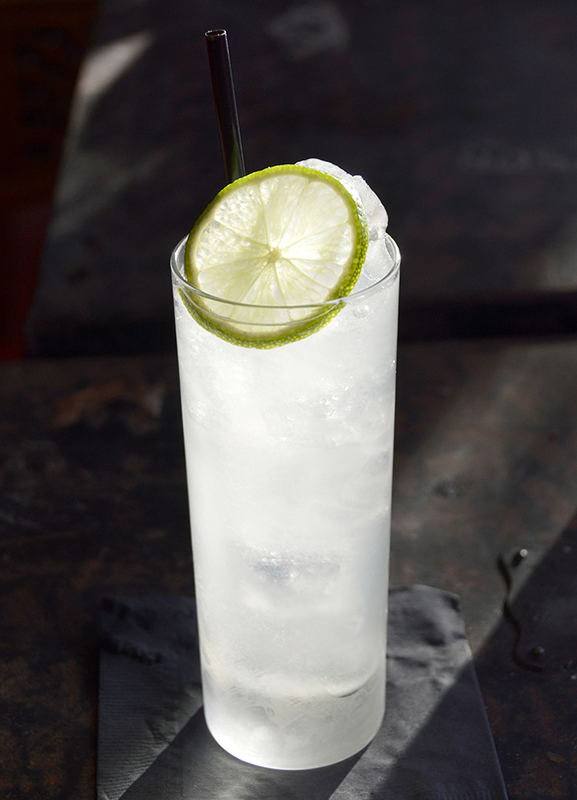 Rum also anchors the Cartel Rickey, one of the many twists on the classic Gin Rickey found at The Rickey at Dream Midtown. Spiced rum, pineapple and lime juice set a tropical tone for the drink, but that’s where bartender Johnny Swet takes an interesting turn—instead of pouring fresh coconut water into the mix, he freezes the liquid into ice cubes so the coconut flavor slowly melts into the drink as time progresses. 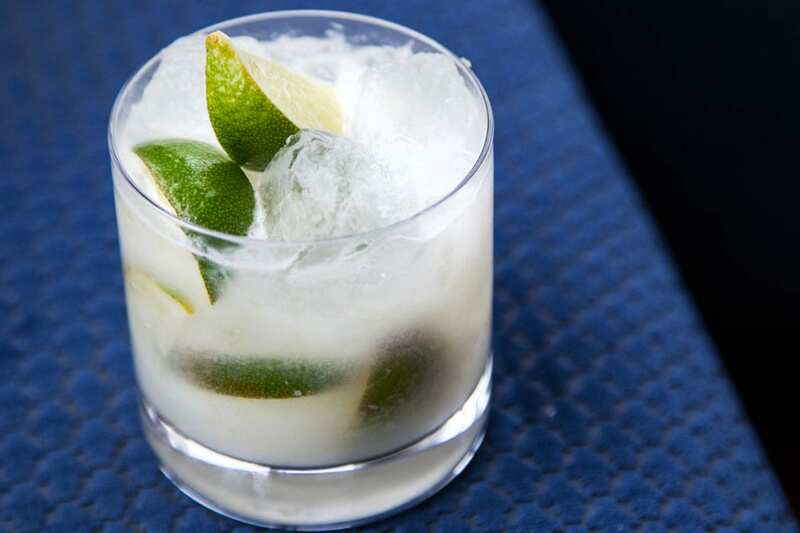 Swet uses this trick in the Coconut Caipirinha on the menu at JIMMY at the James in Soho as well (pictured), where coconut water ice dissolves into a combination of cachaca, lime and coconut liqueur. “As the coconut ice melts, it amplified the coconut flavor and really makes the Caipirinha sing,” Swet says. Gin brightens up coconut water in the Lime in the Coconut cocktail from Hot Joy in San Antonio, and saké makes for a surprising pairing in drinks like the Da Nang Margarita from Elizabeth Street Cafe in Austin (made with saké, preserved tangerine, coconut water, lime and samabal hot sauce). 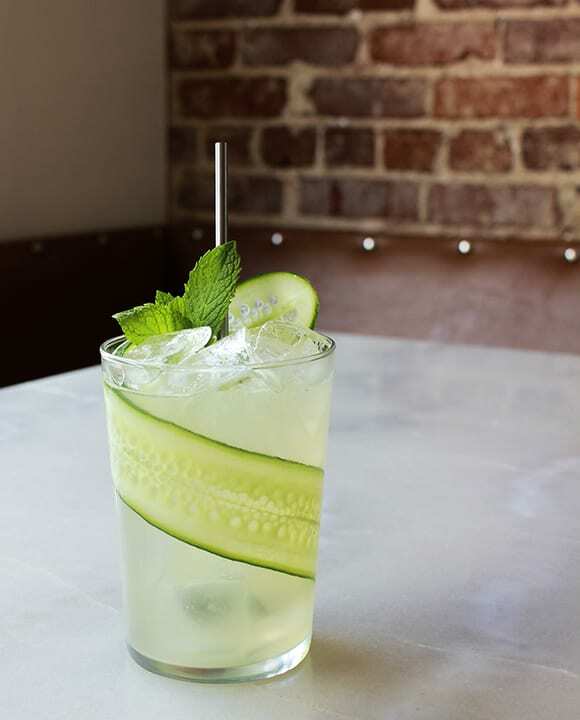 The namesake cocktail from MilkWood in Louisville also features saké and coconut water, buffered by lemon, cucumber and dill. In Joaquín Simó’s She-Lei-Lei cocktail at Pouring Ribbons, coconut water anchors a blend of Irish whiskey, coconut water and matcha—the woody quality of the whiskey deepens the flavor of the coconut water and earthiness of the matcha. Mango is another an effortless match, as seen in this Pisco Punch revamp from Presidio in Chicago and the Behold the Pale Horse cocktail at Eveleigh in Los Angeles, where bartender China Morbosa infuses mango into a coconut water reduction to complement mezcal, sherry and lemon juice. Coconut water is also reduced into a blueberry syrup to root the breakfast-inspired Balm.com cocktail at Ēma in Chicago. In the drink, the coconut blueberry syrup meets lime, cachaca, vodka, bitters and greek yogurt. “Coconut water is a great refresher in the morning and the addition of yogurt was a natural extension of the breakfast theme,” says beverage director Julian Cox. Everything you need to know about the mysterious spirit.